View a selection of antique Sultanabad rugs now available for sale. 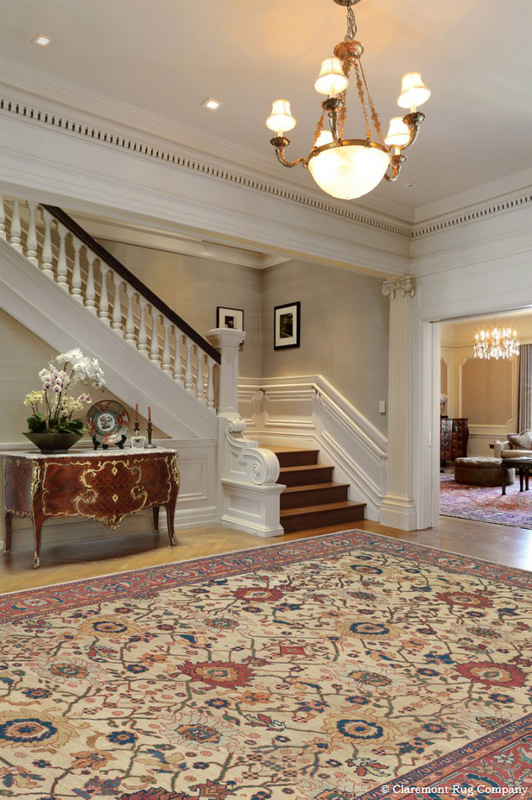 An exquisite Sultanabad carpet with prized ivory field and dramatically overscale design graces this welcoming entryway of a city home. Antique Sultanabad carpets from the 19th century and turn of the 20th century have become perhaps the most desirable among Persian town weavings, as they appeal strongly to both connoisseurs and interior designers.  These two important groups of buyers are attracted to them as outstanding examples of casual, surprisingly contemporary designs and for their sophisticated, yet often whimsical, highly decorative aesthetic. 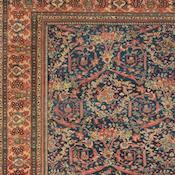 As a result, the best antique Sultanabad rugs have become very difficult to find in the international market. 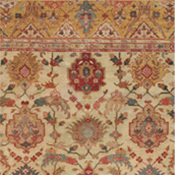 Often the finest pieces in the Sultanabad antique carpet style render spacious, very unique variations upon classical Persian allover patterns, such as the Herati (repeated diamond and curling leaf), the Mina Khani (repeated circular flowerhead) and Harshang (highly stylized dragon and blossom), often in subtle, glowing pastels and earth tones. Finally, a small number of Oriental Sultanabad rugs can be found that employ wonderfully detailed renditions of the beloved Mustafavi (stylized “Garden of Paradise”) motif. 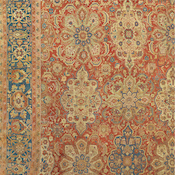 Most Sultanabad carpets feature these flowing, allover motifs, while a small number present the central medallion format, seen often in other Persian carpet styles. Whether the field is ivory, rust, rose, blue or the occasionally found gold or yellow, Sultanabad rugs’ visual impact is sophisticated, yet contemporary. 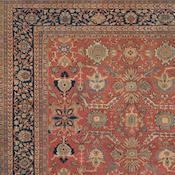 The Oriental carpets from Sultanabad were a product of the cottage industry in and around this Northwest Persian town and were often produced on the family level. Therefore, they usually use a moderate weave, and somewhat thicker pile, similar to nomadic and tribal rugs. 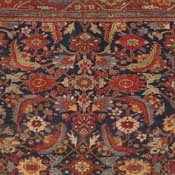 Nevertheless, they have now taken an equal seat beside the highly reputed and more finely knotted Ferahan and Mahajiran Sarouk Persian carpet styles from this same Arak district. 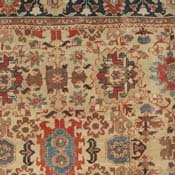 An even more exclusive class in the antique Sultanabad rug style, referred to as the “Ivory Sultanabads” for their glowing ivory to beige grounds, are now considered to be among the most highly desired Persian carpets on the international market with good reason, for in their finest examples, their visual impact of dramatically drawn motifs against the lighter base is often beyond compare. Nineteenth-century Ivory Sultanabad carpets are found mostly in the 9ft x 12ft to 10ft 6in x 14ft size, and larger examples create quite a stir if they are beautifully conceived and in good floor condition. Ivory Sultanabad antique Persian rugs often possess a charming naiveté, along with a palette based in undyed sheep’s wool, in hues of ivory, cream and beige. Often with latticeworks of vinery and flowerheads in soft pastels, a secondary drama of shading is played out in marvelous color striations otherwise known as ‘abrash’. 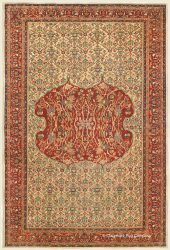 The finest and hardest to find of both the ivory ground pieces, and the entire Sultanabad Oriental carpet group uses allover designs of spaciously placed, extremely overscale blossoms, asymmetrically arranged across a sparsely adorned field. 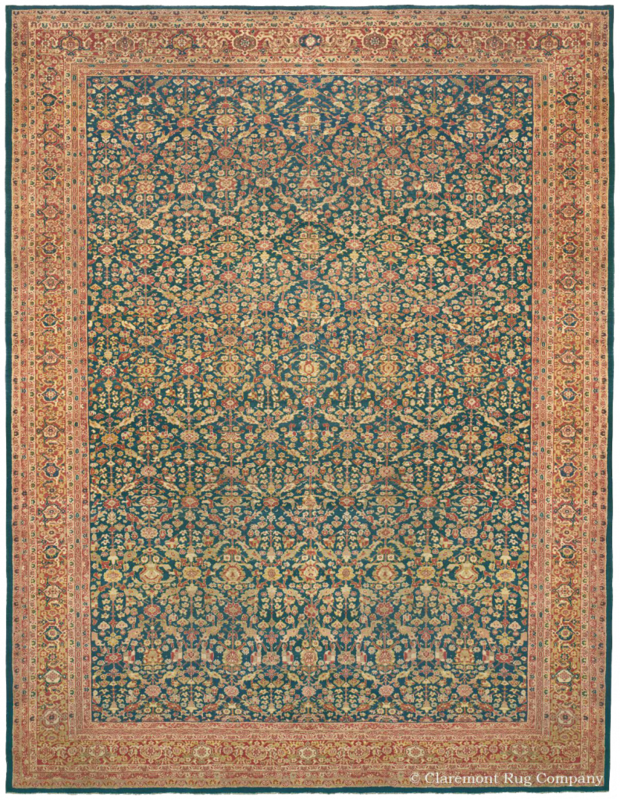 In the late 1870s, a new style of Sultanabad antique rug was developed as a result of venture capital money invested by Ziegler & Co. of Manchester, England, which subsidized one-of-a-kind commissioned pieces particularly for export to England and France. This resulted in the noted “Ziegler Sultanabad” Persian carpet style. Distinguished by a significantly finer weave and stylish, allover patterns in delicate color, Ziegler Sultanabad rugs met with great success in Europe, immediately recognized by the more decoratively inclined Western markets. 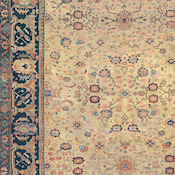 Although based on classical Persian carpet patterns, Zieglers offer delightfully inspired English translations, often to impressive overscale proportions. Ziegler Sultanabad rugs are beloved among many fine interior designers and art lovers for their marriage of casual motifs and superlative craftsmanship. Yet, another school among connoisseurs prefers the more loosely woven, heavier piled “town” Sultanabad rugs for their highly abstracted, naive renditions of both tribal motifs and traditional Persian Court and Garden designs. 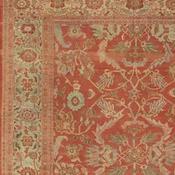 Exemplary Sultanabad antique carpets are preferred by many for their originality and inspired artistry, and have forged an important niche in today’s decorative market. As a result of their rarity, desirability and innovative spirit, the best 19th-century and turn-of-the-20th-century Sultanabad Persian rugs will continue to grow as art investments for many decades to come.